Turn the wheels, lift the flaps, and pull the tabs to get the lowdown about parts of speech, punctuation, and sentences. Want to turn grammar into a game? Name the pictures to get a handle on nouns. Spin a wheel to see verbs in action. Flip some flaps and put a few adjectives to work, creating some silly characters in the process. And what do pronouns have to do with looking in a mirror — or prepositions with walking a dog through a pop-up park? There’s nothing fusty about learning the basics of grammar with this jam-packed fun house of a lesson book, republished with a colorful new cover. Fun and Engaging way to learn! 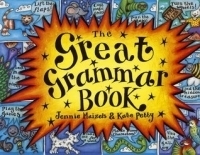 THE GREAT GRAMMAR BOOK is a fun and engaging way to introduce grammar to a child and to help them retain the information. It includes nouns, verbs, adjectives, adverbs, pronouns, prepositions, conjunctions, plurals, possessives, punctuation, and the sentence. This book has it all and would be the perfect tool to those both new to grammar and exposed, but struggling. It uses different types of fun ways to interact, like flaps, wheels to spin, pop-ups, and more! I found myself intrigued as I flipped through it and I know it will help my daughter learn grammar. The colors are bright and pop off the page. 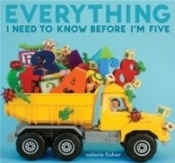 English classrooms should have one in each class or the teachers should let parents know this book exists. The information is presented in a way that would hold any kids attention, no matter how easily distracted they are. Final Verdict: I would recommend this book to those kids ready to learn grammar and for parents who want a fun, engaging tool to help their children learn.